Prokotol is a new utility by Hexler for the creator's toolbox: A lightweight, responsive console app for monitoring and logging complex control protocols. Originally built as a tool for testing MIDI and OSC networks, Protokol is designed to handle any complex message stream with accuracy. MIDI, OSC and Gamepad are included right now but drop us a line if you would like to see other message types added: IoT, DMX, anything is possible given sufficient demand. Protokol renders all incoming data at 60 frames per second (with or without time stamp). This immediate responsiveness enables you to track down critical timing issues, identify conflicts or interrupts (or just pretend you are Cypher observing the Matrix). 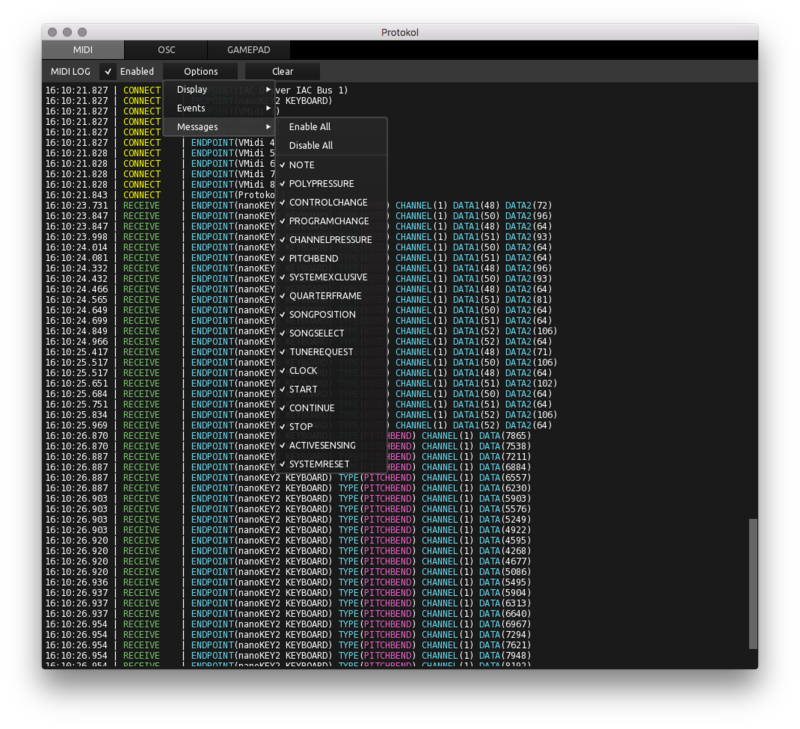 And of course Protokol offers granular filters: Data types, messages, channels and ports. We built Protokol to test our own apps during development, and quickly found use for it at our home studios (troubleshooting MIDI hardware). A few of our music producer mates started bugging us for a copy ... so here it is. A responsive heavy duty console for troubleshooting control protocols.